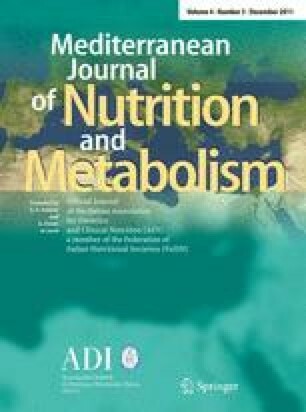 Is the effect of high fat diet on lipid and carbohydrate metabolism related to inflammation? Obesity is an emerging health problem in world wide countries. High fat diet (HFD), which is the main cause of obesity, induces inflammation and affects both lipid and carbohydrate metabolism. This study investigates the effect of inflammation induced by HFD on lipid and carbohydrate metabolism. This study involves two parts, in vivo and in vitro. In the in vivo part, adult male albino rats were fed a HFD for 8 and 14 weeks. After each feeding period, the following parameters were measured (body weight, blood glucose levels, oral glucose tolerance, serum insulin, insulin resistance, total cholesterol, HDLc, LDLc, triglycerides, free fatty acids, neutrophils percentage and serum CRP levels) in addition to pancreas tissue histopathology. In the in vitro part, insulin release from isolated perfused pancreas preparations was measured. Pancreas preparations were isolated from adult male albino rats fed a HFD for 16 weeks. Feeding rats a HFD for 8 and 14 weeks induced inflammation, impaired lipid profile and carbohydrate metabolism. Feeding rats a HFD for 16 weeks increased in vitro glucose-stimulated insulin release. HFD induces inflammation which plays an important role in the impairment of lipid and carbohydrate metabolism. Great thanks for all members of the pharmacology department, faculty of pharmacy, Zagazig university for scientific assistance and support. This research received no specific grant from any funding agency in the public, commercial or not-for-profit sectors.